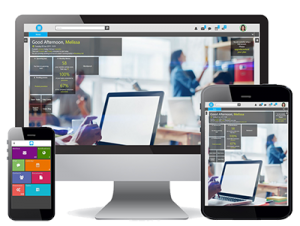 Notification Services can be triggered in specific conditions that users define. 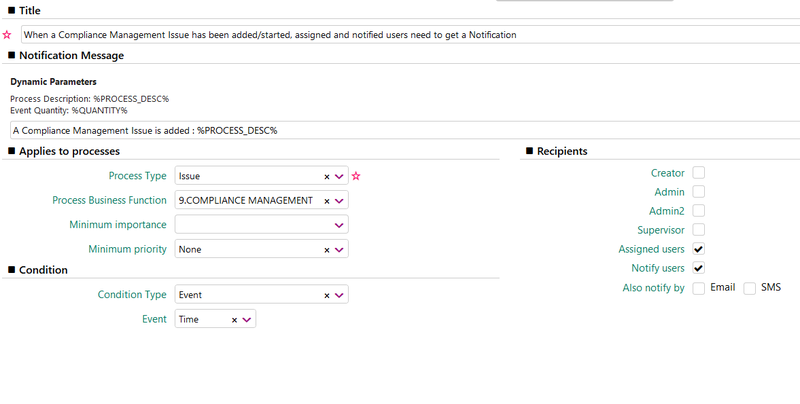 On top of that, notification can be linked with Processes in order for selected recipients notified upon a change on a specific Process. Pre-selected users will be notified with a System-Notification in Notifications Bar. There is also the option to send Email and/or SMS Notifications. Go to Application Menu Icon > Business Automation > Notification Services. Click on the plus icon in the Unit Title bar, to open the create form. 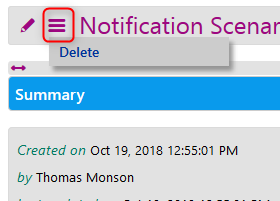 Fill in the Title for the corporate Notification Service. 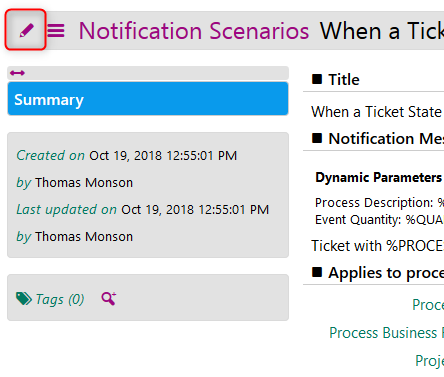 Notification Message can be built with free text, but you can also add critical info such as process description of event quantity, by using their database name in-between % (e.g. %PROCESS_DESC%, %QUANTITY%). Select in which processes this Notification Service will be applied. 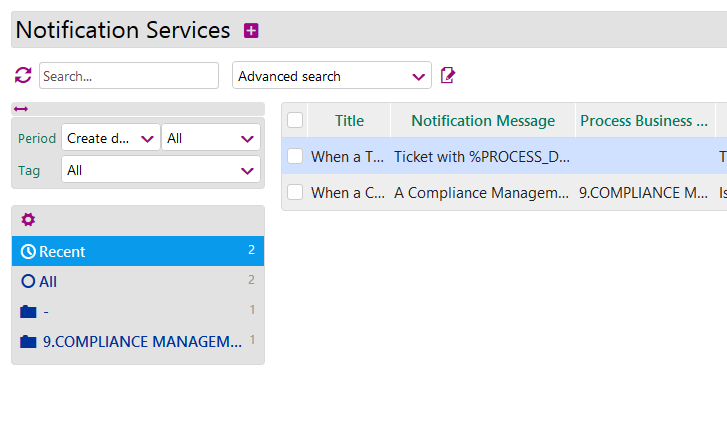 Process Business Function includes the whole corporate Process Map (Category) and can be specified to apply a Notification Service to Processes of this category. 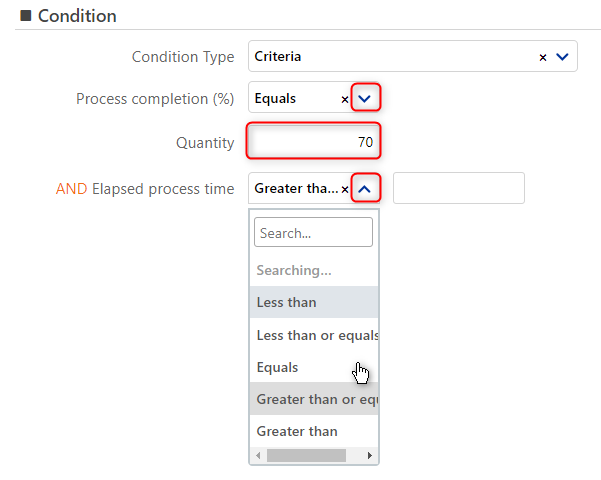 Select Minimum Importance (Normal, High, Top) and/or Minimum Priority (Low, Normal, High, Top) in order to specify in which Processes this Notification Scenario will be applied. Event’s Beginning Time or on its Time Completion. 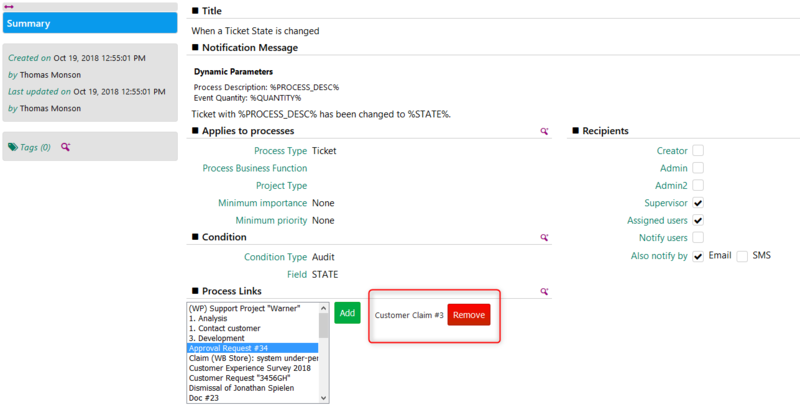 Select whether you wish to Notify Creator, Admin, Admin2, Supervisor, Assigned Users (people added in “Assigned to” field) or/and Notify users (people added in “Send Notification to” field) that have the rights to view this Process of this Category. Choose whether you wish the users selected above to be also notified by Email and/or SMS. Email reminders will be sent provided that you have connected your email account in Comidor. For Notification Services which need to be associated with ONLY a specific Process/Project/etc., you may enter the Notification Service and under Process Link section, to Add the already created Process/Project/etc. from the list. To Remove an already added Process Link, just press the Remove button (see picture below). Select the Notification Service you wish to edit or manage from the list. Click on the pencil button to Edit the entity.Made any modification and then click on Save. Click on Cancel, whether you need to cancel edit procedure. Click on the Actions button and select Delete to proceed in Scenario deletion. A check message will appear. Click on Tags tab on the side bar, to add a new Tag on this Notification Scenario that it may be private, group, internal or public. 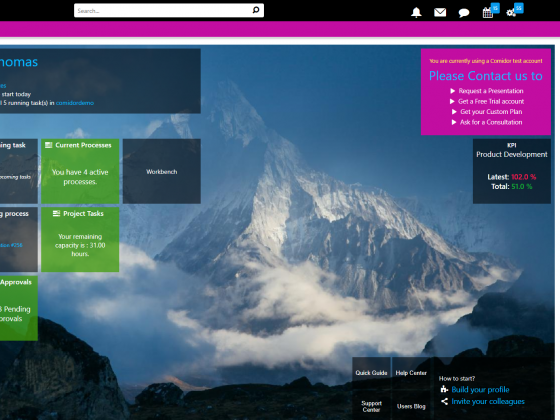 From this point, you can also manage old tags that you have added on that Template. Putting Tags in Notification Scenarios may help you in grouping them, filtering and finally find them easier. Select the Notification Service(s) you wish to Delete from the list. Navigate through Notification Scenarios and search after you have filtered and/or sorted and/or grouped them by the way you wish. Check Data Management options for more information about all these.